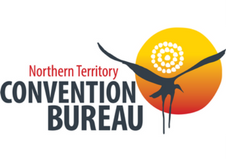 The NT Convention Bureau (NTCB) is the key to unlocking a successful business event in the Northern Territory (NT). Through the NTCB you will receive unparalleled personal access to the destinations, venues and facilitators of meetings, incentives, conferences and exhibitions in the NT. We can help inspire new ways of thinking for stronger, smarter business. We facilitate outstanding outcomes for our clients and help planners achieve outstanding outcomes for their delegates.